Where decades of history rubs shoulders with modern convenience. Nestled in the “gap” of two mountains, Union Gap is where old traditions blend with contemporary ideas. Founded more than a century ago, this charming community is actually the original Yakima City until it was renamed in 1917. Now, it is a thriving center of activity, abounding with festivals, museums, restaurants and shops, all conveniently close to the major thoroughfares of the Yakima Valley. 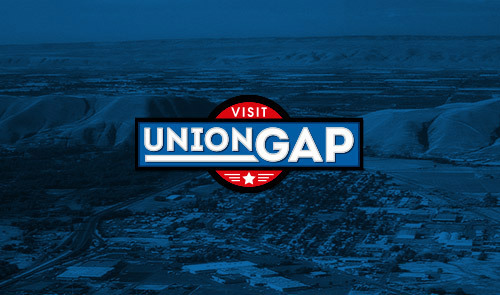 Union Gap is also home to the largest collection of antique farm equipment in the Pacific Northwest, as well as the Yakima Valley’s only indoor shopping mall, so you’re sure to find something fun and interesting in Union Gap! Join us on Sunday April 28th for an annual favorite – The Old Steel Car Show will be back at the Central Washington Ag Museum – over 175 vintage cars on display 10AM – 3PM! Home to the largest collection of antique tools and farm equipment in the Pacific Northwest, this sprawling museum features 15 acres of displays that showcase the Yakima Valley’s agricultural heritage. National chains rub shoulders with local favorites, so the whole family is sure to find something that will satisfy their hunger! Pick any one of the wonderful hotels in Union Gap and you’ll have the perfect spot to explore everything the bountiful Yakima Valley has to offer. The Valley Mall is the retail hub of the Yakima Valley. With more than 85 merchants, from national retailers to local shops, you’ll find everything from fashion to electronics to sporting goods, all just steps away from each other. This is a great place to see how local plants thrive in the Yakima Valley, plus you get to watch the masters at work while you relax in the famous Yakima Valley sunshine! Escape rooms are the hot new craze, and Union Gap has one of the best ones! Grab your friends and see if you can Escape the Maddness! With everything from car shows to Civil War reenactments, there are so many events going on in Union Gap, it can be hard to find time to do them all! Escape the Maddness is proud to introduce their new Escape Room - the 'Pharaoh's Tomb' - giving you two great Escape Rooms to choose from.